Join us at the annual Fire, Rescue & EMS Mega Show to see the latest in firefighting, EMS and rescue apparatus and equipment. The Mega Show will be held on Saturday 2/17 & Sunday 2/18 from 10 AM - 4 PM at the Suffolk County Community College Sports Exhibition Center located at 1001 Crooked Hill Road, Brentwood, NY 11717. Admission price is $14.00 (free parking) tickets available at on-site registration (vouchers accepted). 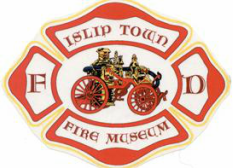 Come visit our booth located in the center section of the aisle bordering the back wall and learn about our museum including the wide array of fundraiser training classes we will be hosting for both fellow first responders and the general public. We hope to see you at the show!